Olivier Higgins and Mélanie Carrier were both born in Québec, Canada. Their passion for sport climbing carried them on the most beautiful cliffs of the world and led them to discover the video and cinematographic world. By than, video simply allows them to share with their relatives the various projects they were doing abroad, whether their university studies in biology at the Île de La Reunion, their environmental projects in Madagascar, their climbing trips around the world, etc. 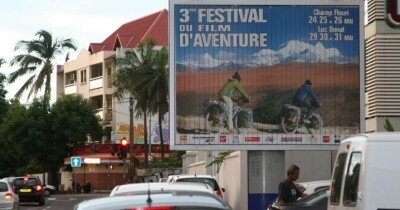 In 2007, their first film, Asiemut, following their 8000 KM adventure by bike in Asia, won 35 awards around the world, in addition to being distributed in forty countries and be broadcast on several TV channels including ARTE, RTBF, TSR, RAI, Al Jazeera and Télé-Québec. Then they presented Asiemut in “cinema-conferences” in the province of Québec with Les Grands Explorateurs and in several events in Canada, the United States, Belgium, Luxembourg, France, Poland, Germany and Switzerland. 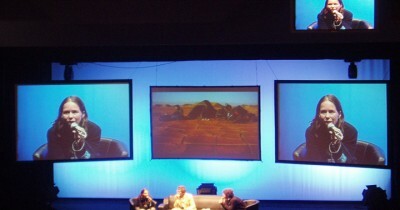 Asiemut was also screened with the Banff World Tour. 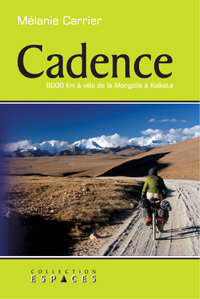 In 2007, Melanie also published her first book, Cadence, which tells their long cycling journey in Asia. 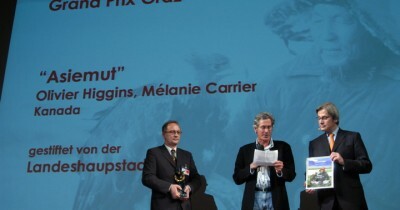 In 2010, the duo of filmmakers founded MÖ FILMS, a film production company dedicated to documentaries. Their second film, Encounters (2011), tells the story of a group of young Innu, Hurons-Wendat and Saguenéens who are travelling along an ancient trail that connects the Lac Saint-Jean to Québec City. 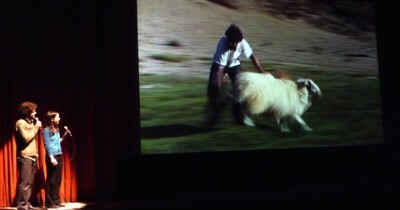 Encounters was singled out by the National Geographic Society and won several international awards. At the same time, their satirical environmental short film, Ice Philosophy, was screened at a number of festivals around the world. Their newest feature documentary, Québékoisie, questions the complex relationship between non-Aboriginal Quebecers and First Nations in Quebec. Launched at the Rencontres Internationales du Documentaire de Montréal in late November 2013, Québékoisie won there the Magnus Isacsson Prize awarded to a film showing an exceptional social consciousness. 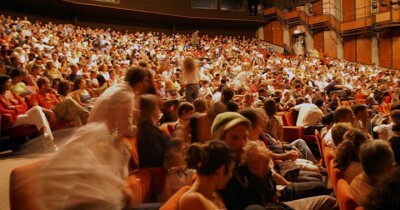 Québékoisie was then largely broadcast in the province of Québec, including the Cinéma Cartier in Québec City where he stayed 15 weeks and at the Cinéma Beaubien in Montreal where he was screened for 5 weeks. Québékoisie is then in the TOP 5 most viewed Canadian films in theaters from January 24 to February 20, 2014 and is nominated for a JUTRA AWARD for Best Documentary Feature Film. This film won several awards, including the “Grand Prize – Best Feature Documentary” at the Rhode Island International Film Festival and the “Work of the Year Award” presented by the “Conseil des arts et des lettres du Québec“. In the fall of 2016, Québékoisie is broadcasted in over 200 countries and territories, in about twenty languages, on TV5 Monde. Among other projects, Mélanie and Olivier are currently working on an essay inspired by the reflections taken from the shooting of their various films as well as their many trips around the world. They are also developing several feature-length documentary projects, including “Ce que le monde porte en soi“, which received support in June 2017 from SODEC, the Canada Council for the Arts and Quebec City. Mélanie and Olivier are both greatly involved in the film industry in Quebec City and are also parents of two young children, Émile and Béatrice.